Nick Henderson is the CEO of MTL and managing partner of Applied Bio Ventures. Prior to that, he was CEO of Applied Biomolecular Technologies, a technology development company focused on commercializing technology. Nick was the founder and President of Signature Medical Direct, which he sold to an industry leader in 2010. He has extensive entrepreneurial experience, having started and grown 14 businesses and one foreign (GmbH) operation. His passion is helping entrepreneurs successfully launch and scale new ventures. He is Chairman of the Board of the Economic Community Development Institute. Nick received his Bachelor of Science degree in Accounting from The Pennsylvania State University and his MBA from The University of Dayton. 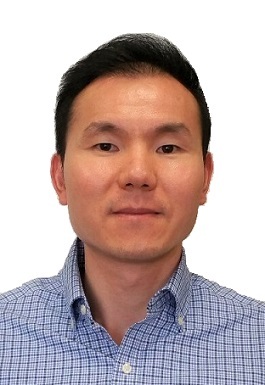 Shengwen Liang, Ph.D. is the Lab Director and Scientist at MTL. He is responsible for the overall operation and a variety of general and lab-specific administrative duties. As the lead scientist of bacterial genetic engineering, he has developed bacterial strains that drive stable and high level protein expression utilizing chromosomal engineering. He works closely with clients, helping MTL executive team to develop partnership frameworks and partner agreements. Dr. Liang received his undergraduate degree in chemistry from Gannan Normal University, his Master degree at Shanghai University, and earned his Ph.D. in Chemistry from Ohio University. Joel Lwande, Ph.D. has been working with MTL for 4 years, as Program Manager and senior scientist in charge of mammalian and bacterial cell genetic engineering. During those 4 years, Dr. Lwande has worked with other scientists at MTL to successfully develop a living cell based biosensor for pathogen detection. Before MTL, he worked as a biochemist in charge of global enzyme safety and hygiene at Procter & Gamble, Cincinnati. Dr. Lwande received his undergraduate degree in Biochemistry from The University of Nairobi – Kenya. He earned his Master of Science degree in Chemistry from Western Michigan University then went on to Michigan State University, where he earned his Ph.D. in Biochemistry and Molecular Biology. He completed 2 years of post doctoral research in Protein Structure and Function at Michigan State University before joining Procter & Gamble, Cincinnati as a Biochemist in 2013.